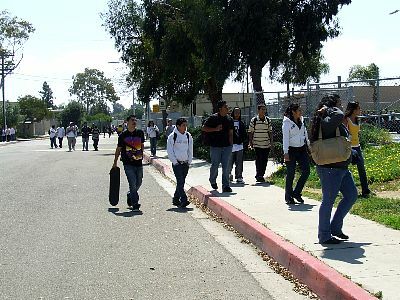 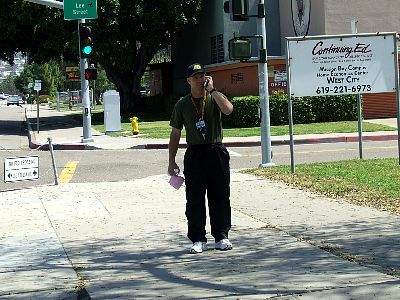 Mission Bay High School, San Diego--A Marine Corps JROTC instructor comes out to investigate before students begin their walk-out to protest recruiting, the Iraq war and the tracking of students into JROTC. 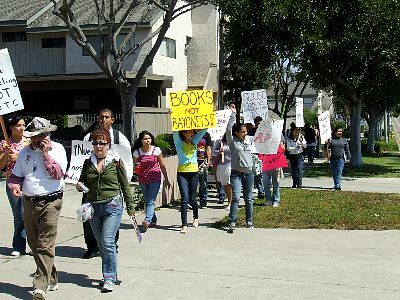 The student-organized walk-out starts before afternoon classes begin. 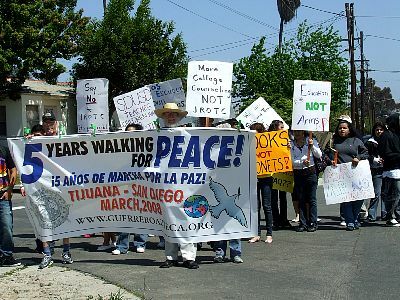 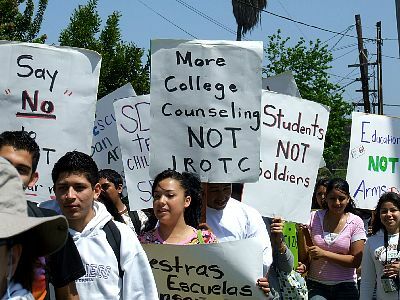 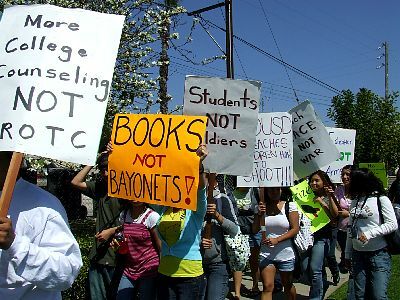 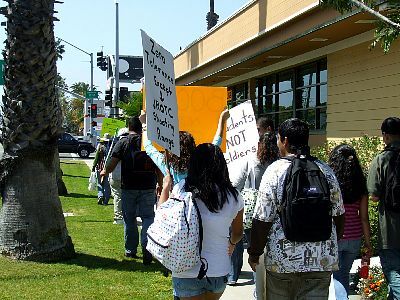 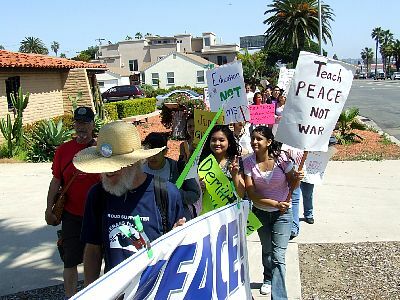 Students join with members of Guerrero Azteca Project for Peace who are walking throughout San Diego County to protest the war in Iraq and military recruiting. 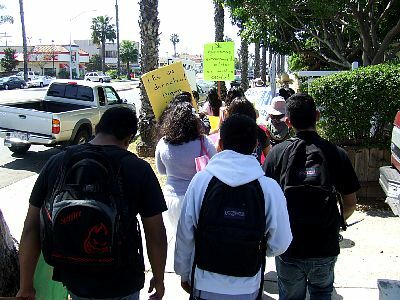 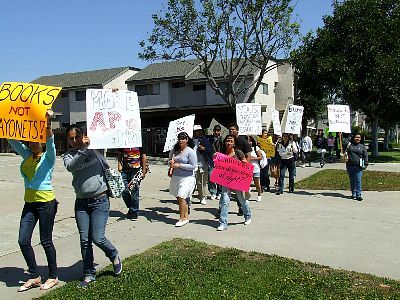 Marching through Pacific Beach toward the Army recruiting station.